Remove Weknow.ac Malware (macOS): A malware to a system is always a threat to it. It can affect all your files on the system, as a result, you will lose all your data. It’s very important to remove such malware from your system. weknow.ac Malware is a malware found in macOS generally which can target your search engine. 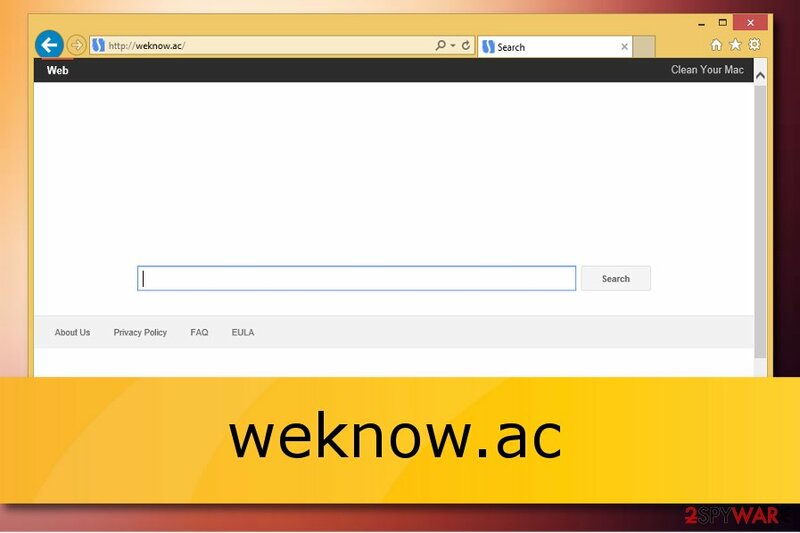 When you will be having weknow.ac malware your default search engine will change to the fake search engine of weknow.ac, as a result, you will end up giving all your record data to this malware. In this blog, we will be taking this malware seriously. We will be also talking about how to erase this malware from your system. Where has this malware come from? Remove Weknow.ac Malware (macOS): We have come to know about this malware that it is being downloaded from a fake adobe flash player popup. In the popup, it will be showing that you need to download adobe flash player but it’s not actually adobe flash player. Please keep an eye on the popup because actually, it’s a fake popup which is showing as adobe flash player. Popup will look somehow like the above one. 1- If you see any on the below-given name while setup first and foremost removes them. MacSaver, MacVX, MacVaX, MacCaptain, MacPriceCut, SaveOnMac, Mac Global Deals or MacDeals, MacSter, MacXcoupon, Shop Brain, SShoP Brain, PalMall, MacShop, MacSmart, News Ticker Remover, Shopper Helper Pro, Photo Zoom, Best YouTube Downloader, ArcadeYum, Extended protection, Video download helper, FlashFree, GoldenBoy, Genieo, Inkeeper, InstallMac, CleanYourMac, MacKeeper, SoftwareUpdater). Now follow the below given steps. Remove all the weknow addon if there is any by following the below steps. Firefox: Go to about: addons and remove the addon. If you are using chrome engine then follow these steps to change the policy. Phew! that was all related to weknow malware. We will try to update the post with more faster and reliable method to remove this malware. Keeps following us to know more about such hacks.